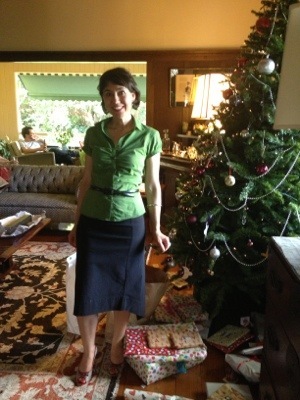 Green shirt by Veronica Maine, red shoes by Charles and Keith in Singapore and skirt by Dogstar. Posted in Aussie Designer, Brisbane Fun, Dogstar, fashion, Veronika Maine, work and tagged Christmas, summer. Bookmark the permalink.